Tampa, FL, March 7, 2017 – TeamViewer®, a leading global software provider for digital networking and collaboration, addresses the market for web conferencing and collaboration with a dedicated solution: Blizz by TeamViewer. Blizz by TeamViewer aims to meet the needs of small and medium sized businesses and mid enterprise organizations. This new product is available as of now and lets business users select from three plans with varying functionalities. 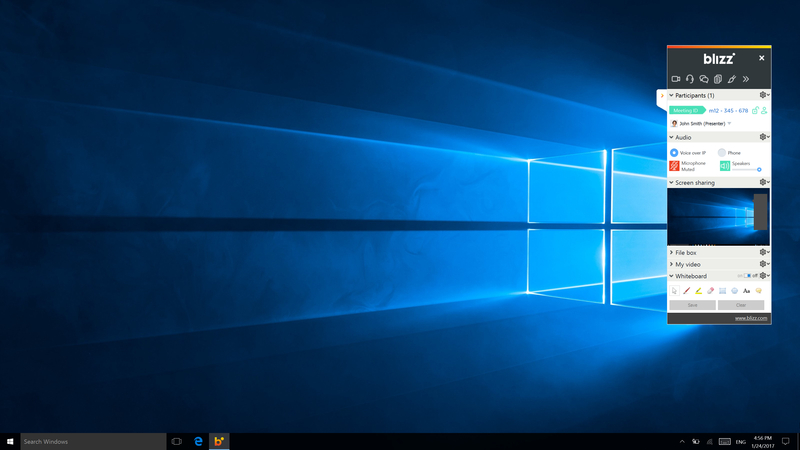 Private users can use Blizz by TeamViewer free of charge. 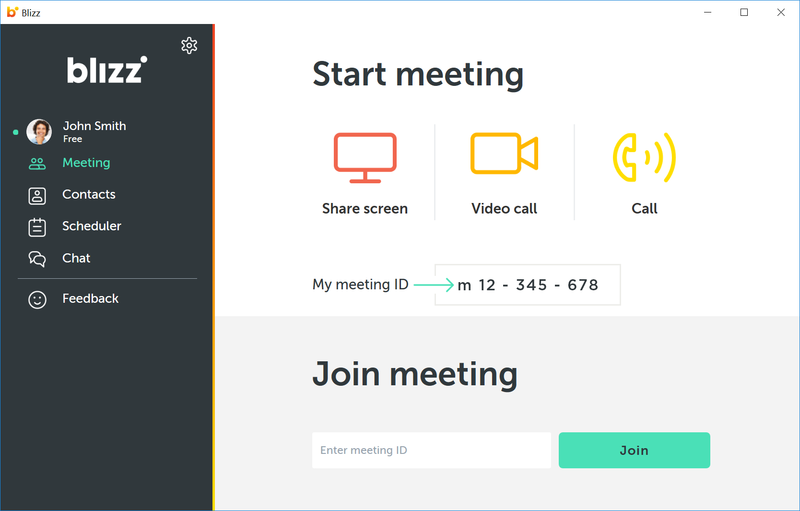 Start meetings instantly: via a web-interface at www.blizz.com®, users can either start or join a meeting. This effortless, no-sign-in required process distinguishes Blizz by TeamViewer from leading competitors. 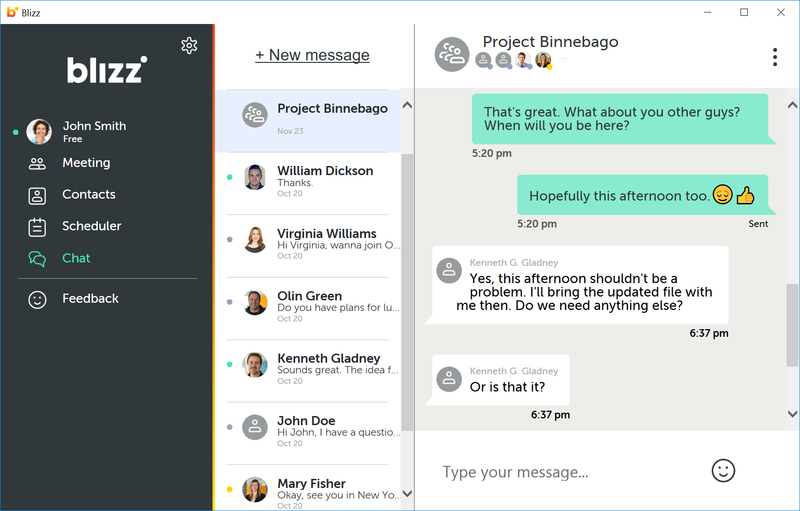 Secure chat functionalities: a real contact list and a unique Microsoft Office integration. 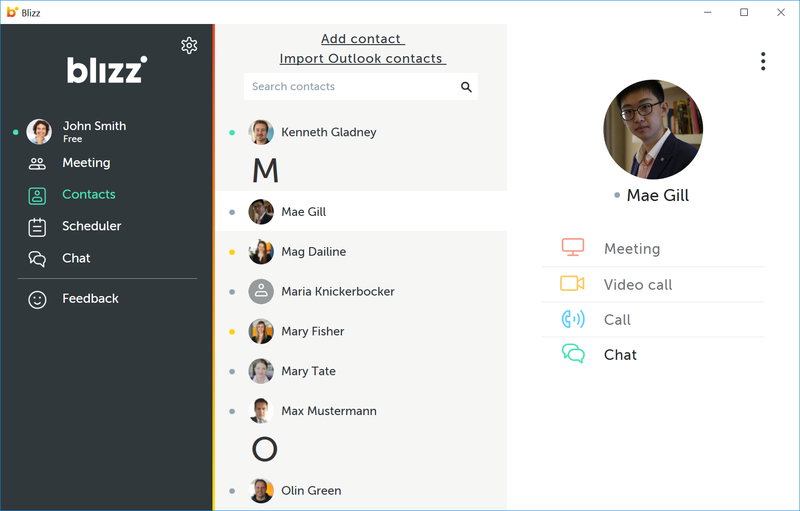 Additionally, the sophisticated cross-company presence indicator lets users recognize whether a contact is online. That way, spontaneous meetings can be set up. This allows for instant synchronization between two users; for instance when the editing of a Microsoft Outlook email message raises questions that need to be discussed in private. Meetings with up to 300 participants: users can scale their plan per their needs. The software is available for Windows, MacOS, Android and iOS to stress TeamViewer’s guiding principle of supplying solutions that bridge existing gaps between different platforms. The app is available at https://www.blizz.com. HD video calls: Blizz by TeamViewer allows for a brilliant video experience by supporting full high definition. Multiple plans: Business users can choose from three plans with different functionalities. Blizz by TeamViewer comes with a clear and transparent pricing structure that guarantees predictable expenses without hidden extras. More information about the pricing is available at: https://www.blizz.com/en/#license-overview. Private users may use the program free of charge. 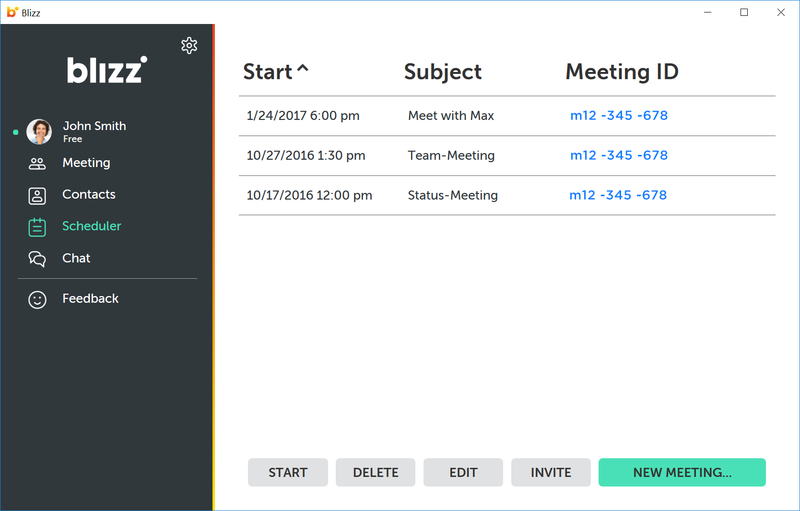 Blizz by TeamViewer relies on proven TeamViewer standards: online meetings are end-to-end encrypted and can be recorded on the presenter and/or the organizer’s device. Additional security features include: Two Factor Authentication and Trusted Devices. Two Factor Authentication adds an additional security layer to protect Blizz accounts from unauthorized access. In addition to both username and password, the user must enter a second code for authentication. Therefore the code is only valid for a short period of time. Trusted Devices is a preventive measure to ensure the account's security, users need to authorize every new device on which they sign in to their account for the first time.